Dave Filoni and the rest of the crew working on Lucasfilm and Disney XD's Star Wars Rebels have made it clear that they want to make this new series feel as "classic trilogy" as humanly possible. With the series taking place five years before A New Hope, everything from sets to character designs feels fresh out of a toybox from 1977. Aside from sets and characters, the team at Lucasfilm have wanted to the series to feel as "movie accurate" as possible, making it feel like it is straight out of the films. They kicked off the entire series with the first line being spoken by Darth Vader, actually voiced by James Earl Jones, giving the series the kick it needed right from the first few seconds. 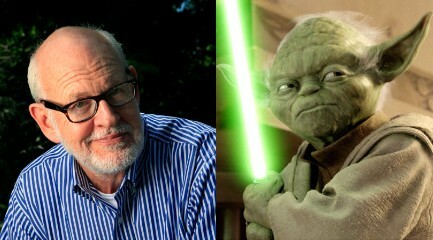 For the upcoming episode of Star Wars Rebels, coming back from it's winter break in early January, with the exception of actually having Ian McDiarmid returning to play the Emperor (fingers crossed), they have taken the next best step-having the one and only Frank Oz return to play Jedi Master Yoda, for the first time since Revenge of the Sith in 2005. Hearing Oz return as the green Jedi Master gives off the exact feeling that makes this series truly feel like Star Wars. It does take a few times to regrasp Oz's voice in your ear to counteract Tom Kane, who has magnificently taken over the role of Yoda since Oz's retirement in many projects including Star Wars: The Clone Wars. Tom Kane even publicly announced his excitement for the upcoming episode on his facebook page. Star Wars Rebels returns this January with "Path of the Jedi" only Disney XD.